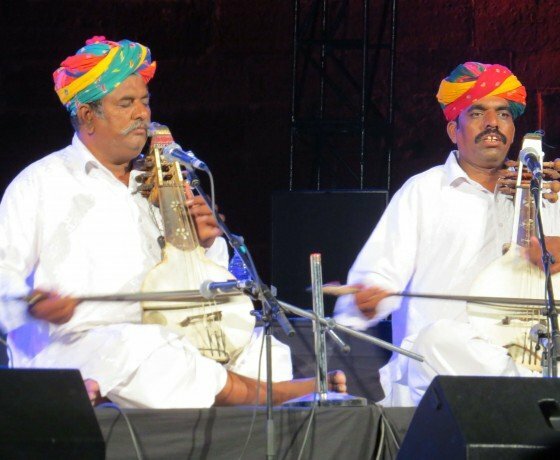 A heady five-day affair embracing the rich musical roots of Rajasthan, the Rajasthan International Folk Festival, aka Jodhpur RIFF, is one of India’s most innovative and intriguing festivals. 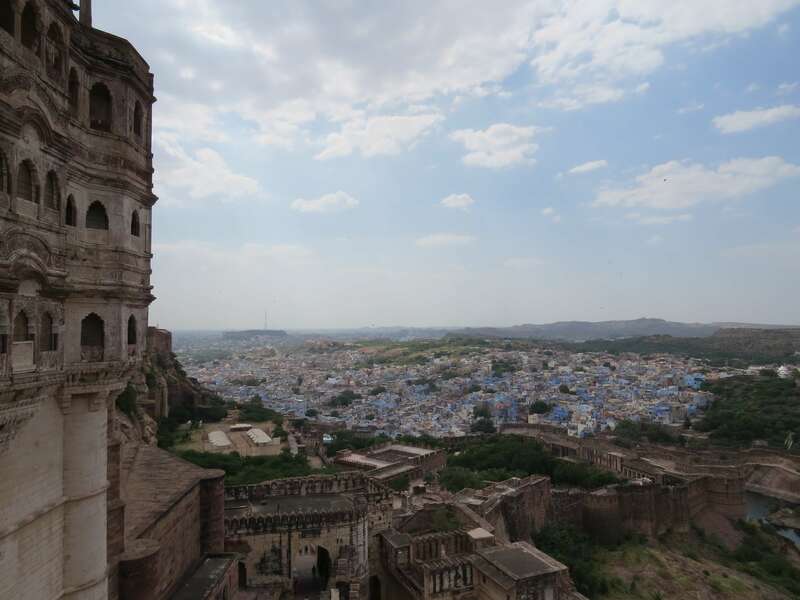 Held at the majestic 17th century Mehrangarh Fort in the Blue City of Jodhpur, which Rudyard Kipling referred to as “the work of angels, fairies and giants”, Jodhpur RIFF 2018 brings together more than 250 musicians and performers from both Rajasthan and across the world. International artists join hands with local musicians to create new sounds through innovative collaborations. 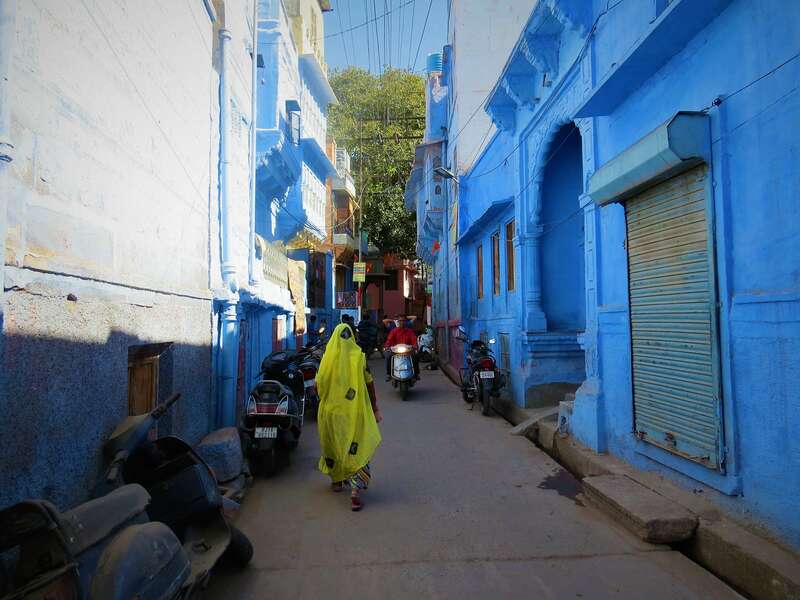 Jodhpur is, for many, a must when visiting Rajasthan, and epitomizes all that the region is best known for; from golden deserts and crumbling forts, to luxurious palaces and opulent hotels. Uniquely, it still has its own living royal family and ruling maharaja, descendants of ancient dynasties who have passed down rich cultural legacies, and a vibrant cultural scene bursting with music and dance. 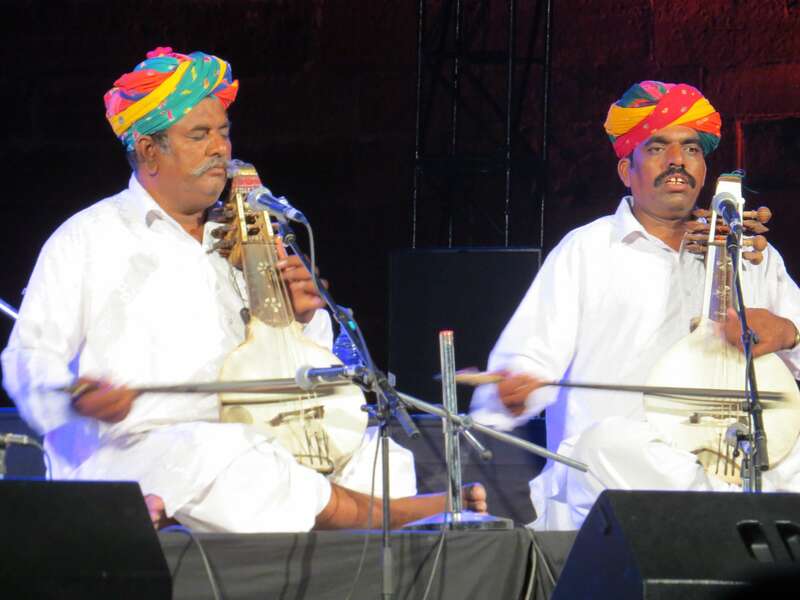 The Jodhpur RIFF was created by the current maharaja, HH Gaj Singh II, in order to provide a stage to the region’s hugely talented but largely unheard folk musicians, as well as to bring life and visitors back into their magnificent 15th century fort. Rolling Stones’ front man, Sir Mick Jagger, is the International Patron. Timed to coincide with Sharad Purnima, the brightest full moon of the year in north India, the dates of the Jodhpur RIFF are slightly different each year, though always fall in the month of October. 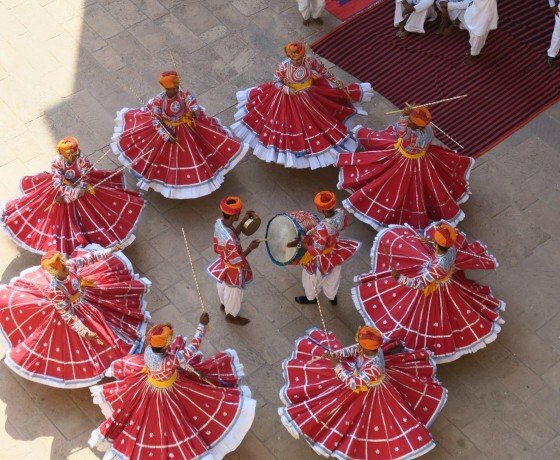 This year, Jodhpur RIFF 2018 will be held from the 24th – 28th October. The Jodhpur RIFF 2018 itinerary we’re about to describe can be slotted into a broader tour of the region, or explored all on its own, as per your preference. Upon your arrival in Jodhpur, you’ll be met by a member of our team at the airport, station or hotel, depending on your mode of transport. Here, you’ll be assisted with checking in to the Royal Tents for a four-night stay. 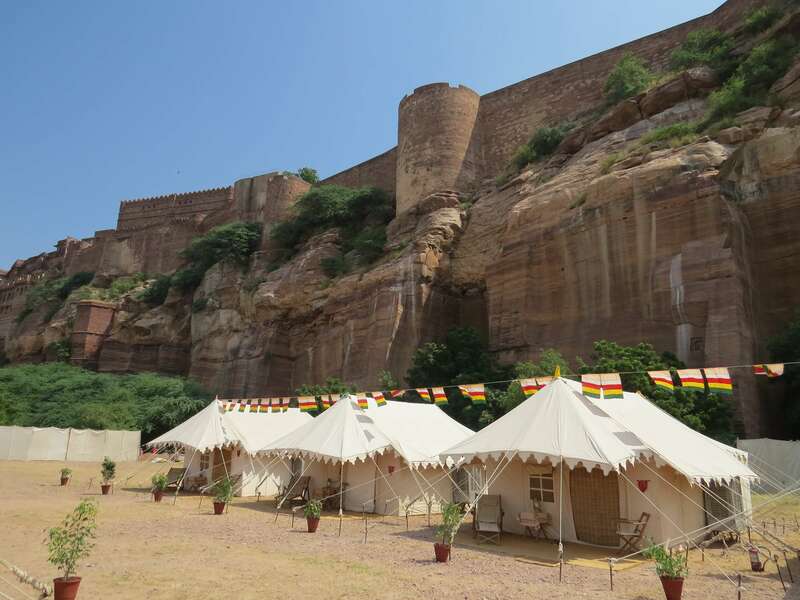 During the festival, the Maharaja (or rather his hotel group, Jodhana Heritage) pitches 20 luxury tents inside the fort; very convenient for those who want to embrace every moment of the festival. Each spacious tent is carpeted and fitted with all the amenities one would expect of a hotel, including an en-suite bathroom, air-conditioning, and a comfy bed. At the far end of the campsite, meals are served for breakfast, lunch and dinner under a billowing canopy, with views over the blue-painted walls of the city below. This evening the festival kicks off with its opening night. Depending on the time of your arrival, we’d recommend exploring the Mehrangarh Fort Museum first of all. It’s widely and justly considered to be the best of Rajasthan’s many palace museums, boasting a rich and varied collection including a golden throne, miniature paintings, centuries-old textiles and fascinating weaponry. 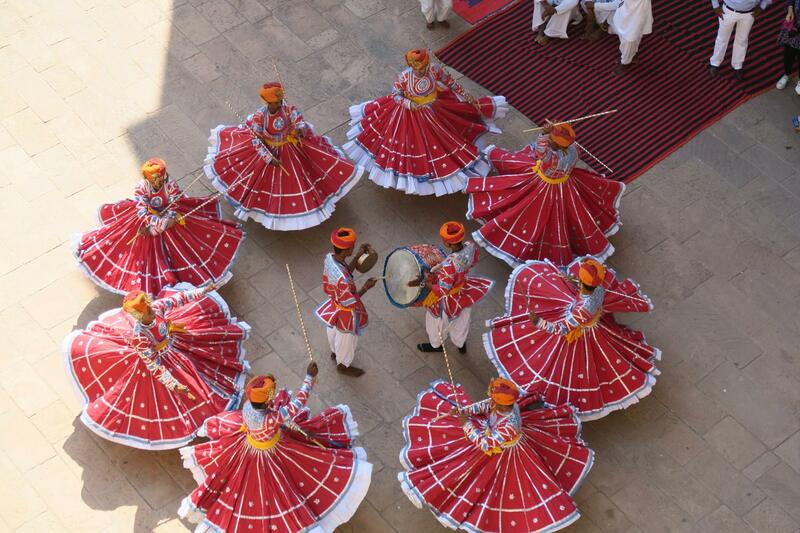 Thanks to RIFF, during the festival a variety of traditional Rajasthani dances are performed throughout the museum; from the martial-looking Gair dancers to the joyful Chang Nritya. Soak up the rich culture and sounds of Jodhpur RIFF 2018, with various programmes happening throughout the days and nights over the next four days. The programme has not yet been announced, though as an idea of what you can expect, last year at Jodhpur RIFF we were treated to performances from Sufi legends such as Sawan Khan Manganiyar, international fusions by DJ Dolphin Boy and Ross Daly, as well as interesting talks and introductions on various local instruments. Today you’ll be chauffeured to the airport or station, or your onward destination. Depending on your schedule and wider itinerary, we’d recommend continuing onwards to the Thar Desert in Jaisalmer, the fairy-tale like city of Udaipur, or rural Rawla Narlai. Our journeys are inclusive of accommodation with breakfast, a private car with driver throughout, experienced guides, internal flights, RIFF season passes, entrance tickets and excursions. In other words, we offer a seamless and hassle-free experience where the only thing you need to worry about is soaking up the music and enjoying your fabulous hotel! 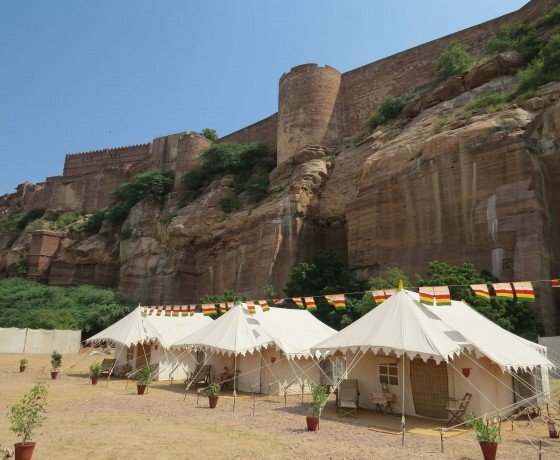 The Jodhpur RIFF 2018 tour we’ve described here is merely a starting point to share a flavour of the possibilities, and absolutely every aspect is flexible (from the hotels to the destinations to the length to the sightseeing). For example, rather than staying in the Royal Tents within the fort, for true opulence we’d recommend the Taj Umaid Bhawan Palace, a 20th-century art deco palace which is still home to the Maharaja himself (albeit in a private wing!). Alternately, Raas is a personal favourite of ours, offering one of the most spectacular hotel views in Rajasthan. Let us know what you’d like to create and we can make it happen!